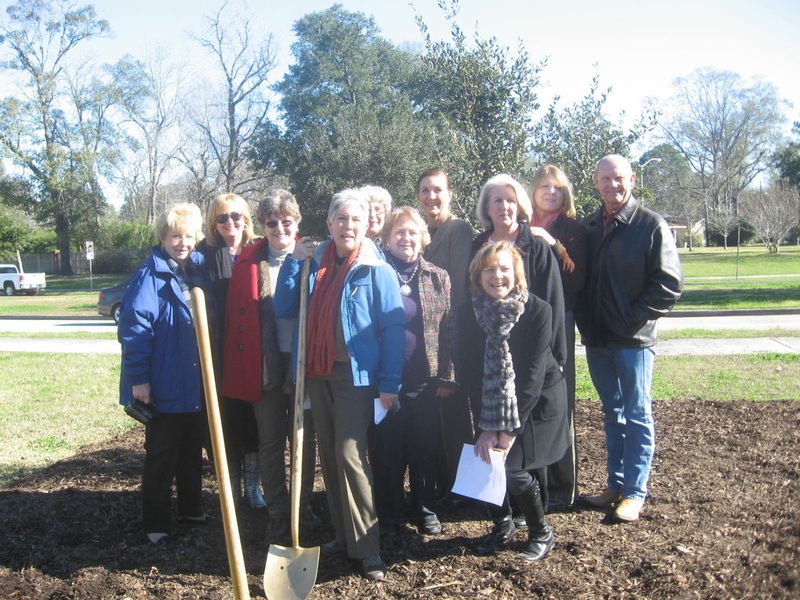 Lafayette Consolidated Government and Lafayette Garden Club sponsored the planting of a live oak tree at Maurice Heymann Memorial Park, located at the corner of South College Road and Girard Park Drive, in honor of Arbor Day, Friday morning, January 17, 2014, and in memory of deceased Garden Club members, Carole Boudreaux, Jean Hernandez and a Eleanor Henry’s spouse, David Henry. Julia Haack, of Lafayette Garden Club, introduced special guests, family members of the deceased. Gretchen Stewart, Chair of Lafayette Garden Club’s Arbor Day Committee, welcomed everyone and introduced Joey Durel, City-Parish President of Lafayette Consolidated Government. Durel, who, welcomed everyone and while greeting the attendees, stated he was glad to see so many tree huggers at this event. 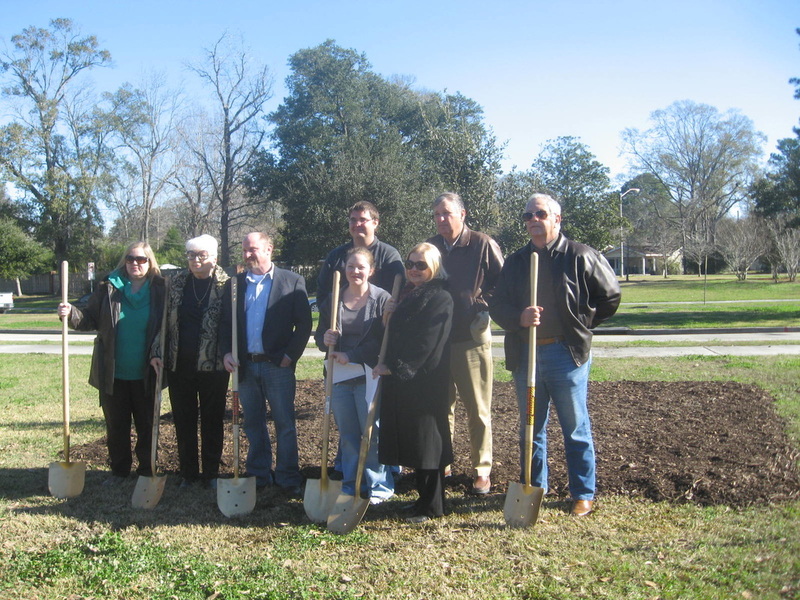 Ms. Stewart then introduced Cynthia Risinger, Lafayette Garden Club President, who noted that we’re making Lafayette more beautiful one tree at a time; Tom Carroll, Director of Public Works; and Heather Warner-Finley, President of Trees Acadiana. The Group was addressed by Brian Smith, Street Superintendent, for a ceremonial planting of this live oak tree. trees will be planted in national forests for your contribution. 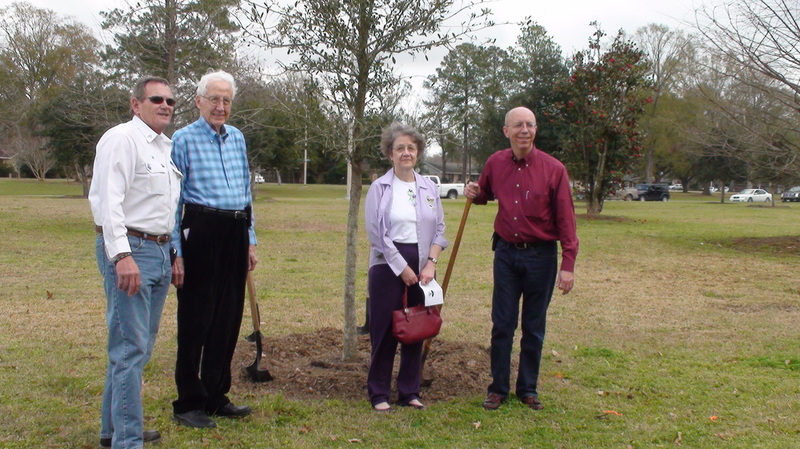 families of the deceased, who were pictured at the live oak tree planting site. were removed to build the Camellia Bridge in the late 1990's. for tree planting and landscaping in Lafayette, and introducing Jeff Olivier, Grounds Maintenance Foreman. 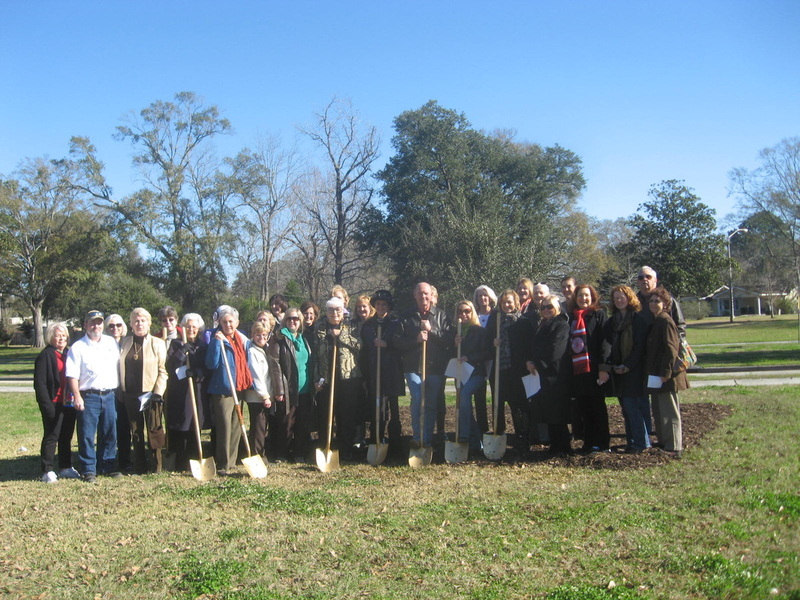 with trees and seedlings, stating that the Live Oak Society is under the auspices of Louisiana Garden Club. 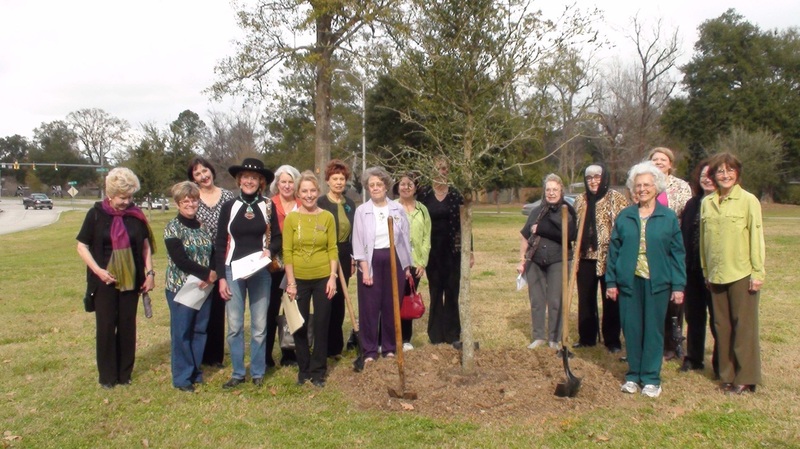 Lafayette Garden Club’s Live Oak Committee is chaired by Gretchen Stewart.